If you can’t join us for an event visit our locations and shop the shops! Where: 5825 Caldwell in Waco. Highlights: Furniture, Franciscan Desert Rose, glassware and sewing. Washer, dr yer and refrigerator. Patio, plants, garage items, household and more! From The Ordinary To The Finest. Where: 1533 Royal Oaks in Waco. Highlights: Home full! Furniture, patio, garden and garage items. A cornucopia of vintage items and Antiques. Signs, typewriters, Army, Edison phonograph and records. A plethora of vintage Toys and collectibles. Washer, dryer and side by side refrigerator. Glassware, kitchen, household and more! Highlights: Home full of furniture. Patio and garage items. Washer, dryer, refrigerator. Women’s clothing and accessories. Indy car collectables. Kitchen, household and more! Highlights: Home full! Furniture for every room including Queen sleep number bed. Harley Davidson, Nascar and coke collectables. Vintage air rifles and signs. Books, records and holiday. Patio, rockers and swings. Side by side refrigerator, stove, washer, dryer and freezer. Garage, kitchen, household and more. When: February 15 and 16. Friday 9-5 Saturday 9-12 close for 1 hour. 1/2 price 1-5. Vintage furniture. Patio, garage items including Craftsman platinum self- propelled lawnmower, Craftsman contractor table saw, tiller, and wheelbarrow. 2 side by side ref rigerators, washer and dryer, kitchen and more. Highlights: Furniture, books, Lionel Trains, washer, dryer, side by side refrigerator. Garage and fishing items, household and more! Highlights: Large selection of women’s clothing and accessories. Sewing machines, huge amount of fabric and lace. Furniture, decor, books, household and more. HighlightsQuality furniture, curio cabinets, dining, living and bedrooms. Books, art, silver plate, Gorham stemware and other various serving items. Spode, Wedgwood and Minton China. Hummel’s, Tay, Beatrix Potter, Stieff animals, Madame Alexander dolls and many other collectables. Trophy mounts, holiday, sewing, quilts, linens, clothes, garage, household and 3 refrigerators. Home is full! Highlights:Furniture for every room. Desert Rose, Lenox China, glassware. Gorham “Chantilly” flatware, jewelry, Buick Century, washer, dryer, refrigerators, kitchen, household and more. Highlights: Quality furniture including large flame mahogany dining table and chairs. King bedroom suite, office and kitchen. Washer, dryer, refrigerator. Vintage cameras, mens clothing, garage, patio, household and more. Home full! Where: 808 Western Dr. Speegleville/Woodway area 808 Western Dr. Highlights: Furniture in every room. Nice round oak dining table with 6 chairs, secretary, buffets, 3 bedrooms all vintage and antique. Lift chair, washer, dryer, sewing, kitchen, garage, household and more. Highlights: Furniture including New England pie safe, curio, dry sinks, blanket boxes, tables, chairs, bedroom, dining and living. Nice side by side refrigerator, washer, dryer and freezer. Sewing, crafts, kitchen and household. When: July 13,14,15. Friday and Saturday 9-5 Sunday 1-4. Highlights:Hewitt Home Full! Washer, dryer, refrigerator. A plethora of women’s clothing, size medium – 2x. Lingerie, shoes, and accessories. Linens, material, kitchen, household and more! When: June 22, 23, 24. Friday and Saturday 9-5 Sunday 1-4. Highlights: Home full of Antique furniture and curio cabinets. Costume and designer fine jewelry and watches. Glassware in Ruby, Cobalt, Cranberry and cut to clear. Flow blue, Fenton, pottery. Several China patterns including Gorham Chateau Chantilly. Artwork, canes and collectables from world travels. Gorahm Sterling flatware service for 12 in Strasbourg pattern. Designer clothes and furs. Lawn and garden, Whirlpool refrigerator, electronics, exercise equipment, holiday, household and more. When: May 25 and 26. Friday and Saturday 9-5. Furniture, Franciscan Dessert Rose patterns place settings and serving pieces, photography studio lighting, washer, dryer, refrigerator, garage items and shelving, lawn and garden, Singer and Bernina sewing machines, household and more. When: May 18,19 and 20. Saturday 9:00 -5:00 and Sunday 1-4. Highlights: Furniture, glassware, curio cabinets, pottery, books, lawn and garden, garage items, sewing, washer, dryer, refrigerator, household and more! Home full. When: April 28 and 29. Saturday 9:00 -5:00 and Sunday 12-3. Where: 15020 Sendero Lane. Badger Ranch subdivision in Woodway. Highlights: Lovely furniture and home decor. Lamps, mirrors and prints. Large area rugs, drapes and floral arrangements. Lawn and garden, household and more! Highlights: Lovely home furnishings including Henredon buffet, dining table with 8 chairs, sofas, end tables, Drexel mid-century desk and twin beds. Candlewick and various glassware, China, silver plate, books, KitchenAid side by side refrigerator and front load washer and dryer. Electronics, garage items, household and more. 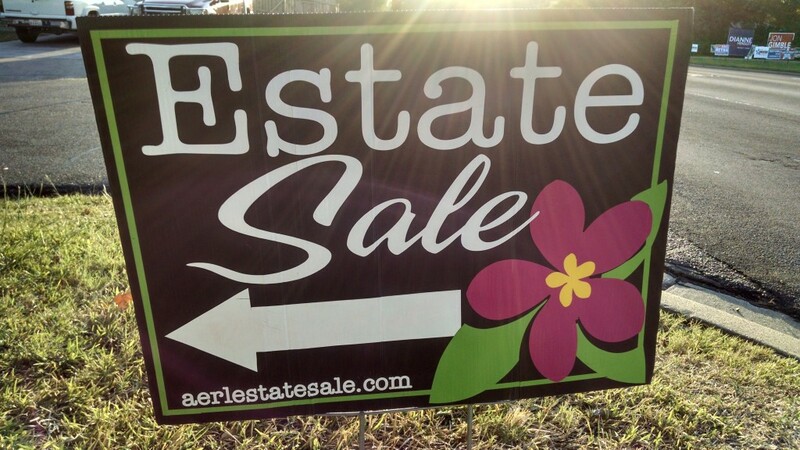 Aerl Estate Sales from the ordinary to the finest. Estate Sale for the young at heart! Highlights: Representing the Estate of Gwendolyn Boory, founder of Central Texas Doll Club. Lovely victorian furniture, Antiques and collectibles. Fascinating range of vintage textiles, clothes, lace, sewing, quilting and crafts. Costumes and material for theater, square dancing and fun. Hundreds of porcelain or ceramic doll and miscellaneous molds. Four paragon kilns in various sizes. Very large selection of doll clothes, hats, wigs, shoes and accessories. Doll furniture, miniatures, trains, and toys. Pie safe, books, storage and tools. Something for everyone. Home and garage are full. When: Please join us December 8, 9, and 10th. Friday-Saturday 9-5 Sunday 1-4. Where: 202 Silver Spur Trail Mc Gregor. Turn on Harris Creek off of Hwy 84. Highlights: Home full of quality furniture for every room. Glassware, Noritake China “fragrance” pattern. Flatware, decor, chests, quilts, sewing machine, full figured women’s clothing, shoes and accessories. TVs, stereo, nice wicker patio furniture, lawn and garden, washer dryer, refrigerator, freezer, garage, holiday and much more! When: November 17,18,19 Friday-Saturday 9:00 -5:00. Highlights: Quality furniture, china, glassware, flatware, holiday, lawn and garden, patio furniture, garage, washer, dryer, freezer, sewing, household and more! Aerl Estate Sales. From The Ordinary To The Finest. When: October 27, 28. Friday-Saturday 9:00 -5:00. Highlights: Offering corner cabinet, dining, small buffet, tables, desk, vintage items, glassware, kitchen, garage and more! When: October 20, 21. Friday-Saturday 9:30 -5:30. Highlights: : Affordable furniture in varying styles. Vintage and antique items. Crocks, beer signs, deer mount and antlers. Religious and holiday. Fishing and camping. Riding lawnmower, washer and dryer. Sewing, household and more! Highlights: : Large home full! Furniture, Refrigerator, washer, dryer, kitchen, household, lawn and garden. A virtual cornucopia of new toys and gifts for the holidays. So much to see! Highlights: : Home Full! Vintage and New! Furniture, Desert Rose Earthenware, China, glassware, Temptations and other QVC collections. Large selection of cookware and kitchen.. Washer, dryer, freezer, linens, sewing and storage options. Books& Shelves, garage. So much here! Please park on Woodgate. We are right on the corner.. Highlights: Quality furniture, stacked washer and dryer, refrigerator, Singer treadle machine, new lift chair, lawn and garden, lawnmowers, garage, holiday, household and more. Furniture, vintage and antique items. Linens and quilts. Lawnmower, garage, household and more. Home full! Eclectic mix of furniture, vintage and antique items. Art, mirrors clothes, molcajetes, household and more! Pictures added daily until Sale. Vintage Mid Century Modern Sale! Highlights: 4 Lovely 2 story home full! Mid Century modern matching gondola sofas. Collection of mid Century Danish modern lamps, vast selection of mid Century chairs and seating. Dining, buffets and bedroom choices. Many other furniture styles and pieces are included in home. Flatware including International Sterling “Valencia”, glassware, china, as well as decor. Lawn and garden, books and other fun finds. Something for everyone. Highlights: . Entire home and “Quilt Patch” business sale! Antiques and vintage items. Curio cabinets, hutches, bookshelves, benches, church pews, armoires. Furniture for every room. Gammill long arm quilting machine. Bernina sewing machines and serger. Singer featherweight and Singer treadle sewing machine. Antique and new quilts, patterns, storage, material and supplies. Tools, washer, dryer, refrigerator, freezer. Lawn and garden, jewelry, something for everyone. When: Please join us May, 19, 20, and 21st. Friday-Saturday 9-5 Sunday 1-4. Highlights: Home full of furniture including dining table with 6 chairs, buffet, sofas, various small tables and end tables. Recliners, lift chair, beds, dressers, chests of drawers, bookcases, hutches. Spinet piano and violin. Desert Rose Franciscan earthenware, china, glassware, flatware, jewelry, household and more. Stop by! Aerl Estate Sales from the ordinary to the finest. Collectables Sale: Dolls, Trains, Apple Franciscan ware! When: Please join us May 5, 6, 7. Friday-Saturday 9-5 Sunday 1-4. Highlights: Huge selection of antique and collectable dolls. Kestner, Simon & Halbig, Madame Alexander, Effenbee, Patty Play Pal. Shirley Temple collection, Lionel trains, large selection of Apple Franciscan Earthenware, glassware, books, trunks, flatware, nice clothing, washer, dryer, furniture, jewelry of every style. Home is full! When: Please join us April 21, 22, 23. Friday-Saturday 9-5, Sunday 1-4. Highlights: Globe Wernicke barristers bookcase. Furniture for every discerning palate. Multiple sets of Haviland China, silver plate of every style, crystal, glassware, vintage and antique items. Washer, kitchen, household and more! When: Please join us March 17, 18, 19. Friday-Saturday 9-5 Sunday 1-4. Highlights: . Vintage & Antique collectables. Signs, doors, Windows, glassware, China, quilts, dolls & toys. Lovely furniture, dining tables, curio cabinets, living room, antique bedroom. Tools & lumber. Vast array of woods. Much much more! When: Please join us February 23, 24, 25, 26. Thursday 2-5 Friday-Saturday 9-5 Sunday 1-4. Highlights: Home & garage are packed! Lovely furniture. China Cabinets, secretaries, furniture for every room. Milk glass, cookie jars, decor, collectables, sewing, boutique items, thousands of new & like new clothes, shoes, handbags, jewelry of every style, appliances, lawn and garden. When: Please join us February 10, 11,12. Friday-Saturday 9-5 Sunday 1-4. Highlights: Lovely antique and vintage furniture for every room. 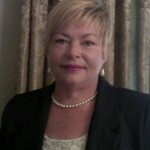 Minton China, milk glassware, decor, men’s suits and clothing, lawn and garden, iron patio furniture, household and more! When: Friday-Saturday, February 3 and 4 9-5. Furniture, lovely oak buffet, Thomasville buffet, bedroom, Lennox Solitaire China, Hummel annual plates, willow tree, precious moments, quilts, clocks, Omega watch, pampered chef, household and more. When: Friday January 20, Saturday January 21 9-5, Sunday January 22 1-4. Home full of vintage furniture and collectables. New living room furniture. Huge selection of material, lace, quilting and craft supplies. Electric fireplace, refrigerator, washer, dryer, gas stove, clothes, household and much more. Furniture, pool table, HUGE selection of scrapbooking supplies and crafts. Clothes 1x and 2x, washer, dryer, lawn and garden, boat, smokers, tools, holiday, kitchen, home and outbuildings full! Highlights: Furniture, glassware, Johnson Brother Heritage Hall Ironstone. Complete service for eight, serving pieces as well. Franciscan ivy pattern earthenware. Holiday, shed items, large smoker, lawn and garden, dryer, household and much more! When: Nov. 18-19. Friday-Saturday 9-5. Highlights: Nice home full of furniture. King Bed, curio cabinets, flat screen TVs, living, dining. John deer riding lawnmower, garage items, lawn and garden, Morgan building, household and much more! Highlights: Lovely home overlooking the lake. House and garage full. Furniture, glassware, household, Invacare mechanical wheelchair, message chair, tools, riding mower, new washer dryer combo, portable air conditioner, deerborn heater, vintage clothes, holiday and more! Highlights: House full of furniture. Sewing , piano, linens, household, garage, washer, dryer and more! Highlights: Offering tools, fishing, furniture, household, smoker, freezer , lawnmowers and parts, 2 total workshop machines! Highlights: House full! Furniture, dining table with 8 chairs, china cabinet, bedroom, living room. Antique and vintage items. China, glassware, jewelry, Baylor memorabilia, crafting and sewing supplies, washer, dryer, refrigerators. Highlights: . Furniture, Franciscan Apple Earthenware, flatware, books and shelves, washer dryer, refridgerator, garage and household items. 10’x6′ Morgan building. Where: 1001 N. 62 St. Waco, Tx. Highlights: So much to see! To much to list! Furniture, dining, bedroom, curio cabinets, curios, knickknacks, baubles, costume jewelry, clothes and holiday. Singer sewing machine, glassware, kitchen, lawn and garden and more lawn and garden. Home and garage full. Highlights: . Furniture for every room. Duncan Phyfe style table with six chairs, china cabinet, small buffet, living and bedrooms. Sewing machines, Vintage Barbies and accessories. Vintage Franciscan Floral pattern earthenware. Washer, dryer. Lawn and garden, household and more. Aerl Estate Sales from the ordinary to the finest. When: July 1-3 Friday and Saturday 9-5 Sunday 12-4. When: July 1-3 Friday and Saturday 9-5 Sunday 1-4. Highlights: . Furniture, sofas, chairs, dining table with seating for eight, lighted china cabinet, small round table, 5 leg table, small buffets, silver plate, china, king bed, dressers, nice lighted wall unit bookshelves, desk, lawn and garden, garage and household items. Aerl Estate Sales from the ordinary to the finest. When: May 19, 20, 21 Thursday – Saturday 9-5 . Highlights: . Furniture, beds, dressers, vanity, living room, curio. Nice washer, dryer, refrigerator, glassware, household and more. When: 9-5 Thursday, Friday and Saturday April 28, 29, 30 . Highlights: Furniture, refrigerator, Lenox collectibles, sewing machines and supplies, extreme scrapbooking and misc. Craft supplies, nice kitchen ware, lawn and garden, large birdcage, holiday, tools and household items. When: 9-5 Thursday, Friday and Saturday March 24, 25 and 26. Highlights: House and well equipped workshop full! Fine woodworking equipment, and woods. LOTS Of AIRCRAFT TOOLS! Welders, 2 nice wood burning stoves, stained glass and supplies, camping & fishing, Glastron 19 ft ski/fun boat, 16 ft. Flatbed trailer, Harley enclosed trailer, Gravely zero turn riding lawnmower, BBQ pits and smokers, lawn and garden, furniture, overstuffed living room set, King, trundle, and full beds, dressers, dining, Rattan, top load washer, dryer, refrigerators, household and more. Highlights: Furniture, sofas, tables, vanity, dressers, bed, washer, dryer, tools, household and more. Highlights: . Nice collection of tools, welding, big rig, wide assortment, tool boxes, John deer riding lawnmower, Morgan building, 2 refrigerators, freezer, scooter, lift, furniture, glassware, house and garage full. When: January 29 & 30 Friday – Saturday 9 am -5 pm. Highlights: Furniture, sofa, love seat, dressers, tables, bookshelves, china, glassware, household items. When: January 2nd and 3rd. Saturday 9:00 am – 5:00pm Sunday 12 -4 pm. Where: 2107 Sugg in Waco. Highlights: Furniture, freezer, washer, dryer, refrigerator, handmade quilts, glassware, garage, household items. 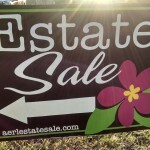 Please Join us for great Estate sale! When: December 4th and 5th. Friday and Saturday 9:00 am – 4:30pm. Where: 267 Apache Trail in China Springs. Highlights: Furniture, freezer, washer, dryer, refrigerator (recently purchased), lawn mowers, glassware, sewing machine, household items, holiday and more. When: November 20th, 21st and 22ed. Friday and Saturday 9-5 , Sunday 1-4. Highlights: Spruce your home for the holidays! Lovely quality furniture in every room. Singer sewing machine, quilting, knitting, crocheting craft supplies. Jewelry, washer, dryer, household and more. House is full. When: November 13h,14th and 15th. Friday and Saturday 9-5 , Sunday 1-4. Highlights: Furniture including twin beds, dressers, chest of drawers, china hutch, dining table, living room and various small tables, décor, glassware, household items, washer, dryer and more. When: October 29th, 30th and 31st. Thursday 2-6 Friday 8-5 and Saturday 9-11. Highlights: Furniture , Solid Maple dining set with 8 chairs, lighted china cabinet, Queen bed, vanity, stackable washer and dryer, household items and more. Stop by! When: October 9th, 10th and 11th. Friday -Saturday 9-5 Sunday 1-4. Highlights: Furniture ,Antique beds, armoires, vanity, sofa Dining, patio, Crystal, silver plate, Noritaki china, glassware, washer, dryer, small refrigerator, household, garage and more. Stop by! When: October 3rd, 4th and 5th. Saturday 9-5 Sunday 12-4 and Monday 2-5. Highlights: Furniture including beautiful mid-century sofa. Refrigerator, freezer, washer, dryer, glassware, garage, household items and much more Stop by! When: August 14th, 15th from 9 A.M, to 5 P.M. and August 16th from 1 P.M. 4 P.M. Highlights: Lovely home. 50 years of accumulation. Furniture, Globe Wernicke barrister,lawyers bookcases, Victor Victrola, Glassware, Collectibles, washer, dryer, refrigerator, freezer, tools, household items and more. Stop by! When: July 4th TENT EVENT from 10:00 A.M. to 2:00 P.M. Highlights: Huge overstocked inventory sale of furniture, doors, windows, display cabinets, glassware and much, much more. Where: Farney Road off Hwy 77 in Golinda. Sale is about 2 miles after turning off Hwy 77. Follow the signs. Highlights: Beautiful billiard table with all the accessories, riding lawn mower, furniture, toys, Levis, Wranglers, camping gear, sports equipment, household items and more. Stop by! Highlights: Quality furniture, household items, Men and Women’s clothes and much more. Highlights: Great Sale! Frigidaire side by side refrigerator, stove, lawnmower, tools, furniture, quality 2 and 3x women’s clothes, men’s suites, glassware, household items and more. Stop by!